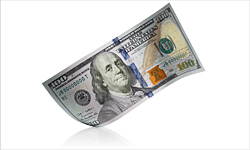 Fluorescent Security Feature On New $100 to be Identical to Previous $100 Bill, Only Better. 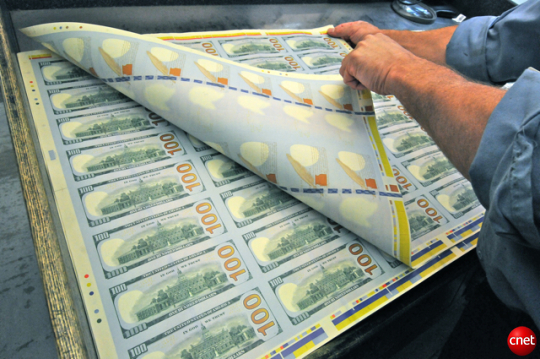 We mentioned previously the intaglio printing process that creates fine lines around the portraits on genuine dollars. Now we get to see some details on the lines. 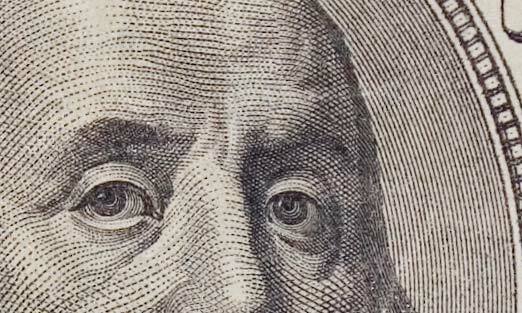 Below is a magnification of Benjamin Franklin's engraved portrait on a $100 bill.